[General description] Head and shoulders portrait of Samuel White Sweet. He wears a double breasted jacket and a colourful cravat and sports mutton chop whiskers. 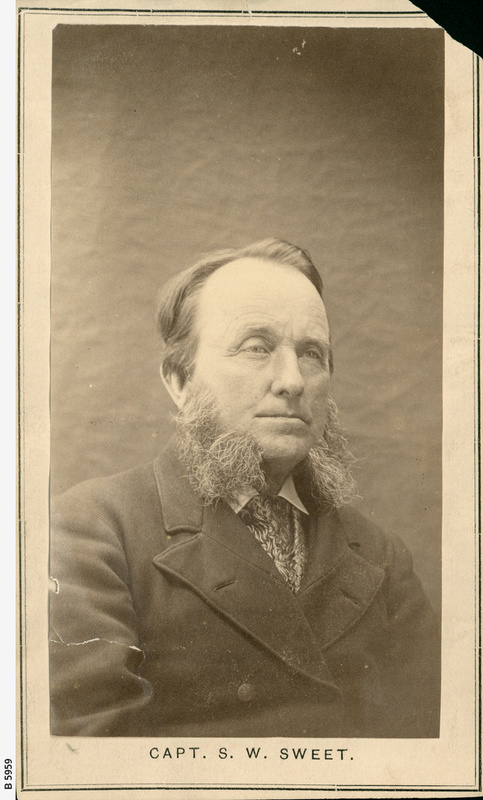 He was a sea captain who retired from the sea in 1875 and opened up a photographic studio in Adelaide. He travelled through South Australia in his horse-drawn darkroom photographing landscapes, outback stations and homesteads. A large collection of his work is held in the South Australian Archives.